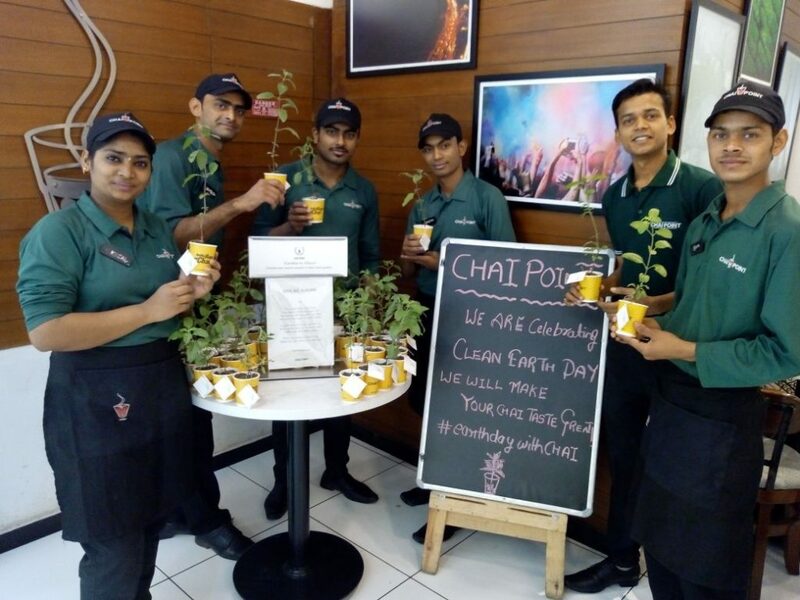 For any regular Chai Point customer, we hope you had the chance to pop into one of our special stores yesterday, Sunday 22nd of April and collect your own Tulsi! 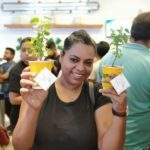 Earth day 2018 was focused on reducing plastic pollution, worldwide. Plastic pollution is poisoning our oceans and land, injuring marine life, and affecting our health! 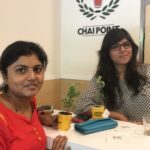 Here at Chai Point, we are consciously trying to avoid the use of plastic in all of our stores and have banned all plastic in most stores in Bangalore. 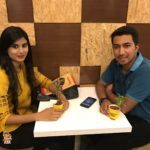 Our food boxes and plates for in-store and delivery channel are made of bagasse which is the fibrous matter leftover after crushing sugarcane stalks for sugar. Therefore, as a brand, we wanted to do something very special this Earth Day. 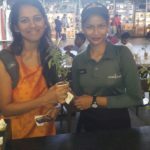 We celebrated Earth Day 2018 by offering free Tulsi saplings to our customers. 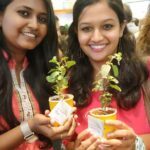 We offered these special saplings in 16 of our stores across India and no store had any to spare by the end of the day. 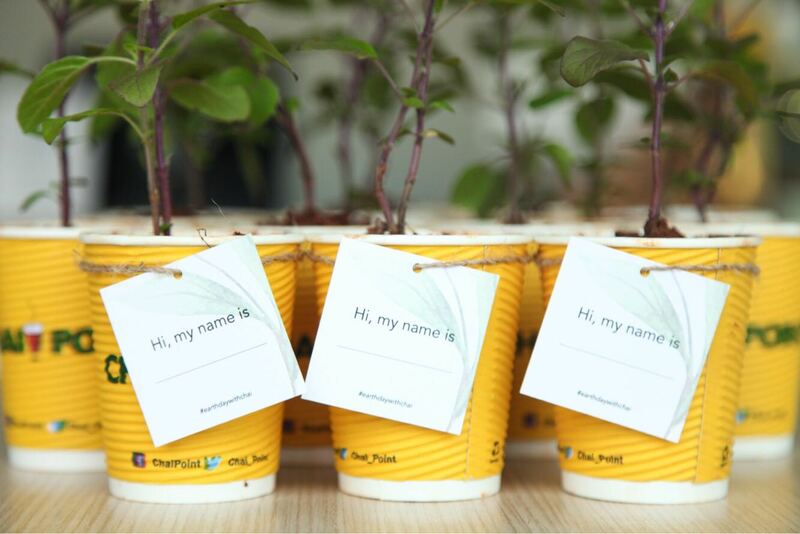 Our vision was to offer a nameless baby sapling to anyone who wanted to take care of a life. 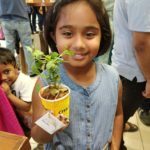 We got our customers to name it, nurture it and cherish it. 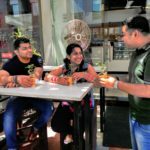 We were delighted to see how many of our customers were charmed by their gift. 890 saplings got a new home yesterday. 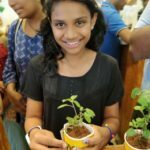 We are very dedicated to our environment and believe everyone should get the opportunity to watch this living organism grow! We are overjoyed that all Tulsis got the opportunity to have a home, thanks to our loving customers. Since our inception, we have challenged ourselves to set new standards and try to introduce practices and products that protect the planet and reduce our carbon footprint. We look forward to continuing our journey towards a cleaner planet!